Today we’re adding to our tutorial collection. Creating your own illustrated characters in Silhouette studio has many benefits. My favorite is that they’re yours. Obviously if you make Mickey Mouse in Silhouette Studio, well, he still belongs to Disney, but there are a lot of other options besides Mickey. This cute, cuttable fox can be printed for sticker-making, notecards, wall art, or you can use other materials to decorate mugs, create t-shirts, or use HTV on canvas if you like. I hope you find this tutorial helpful and easy enough to follow. If you have any questions or need more help, please reach out to me via Facebook. 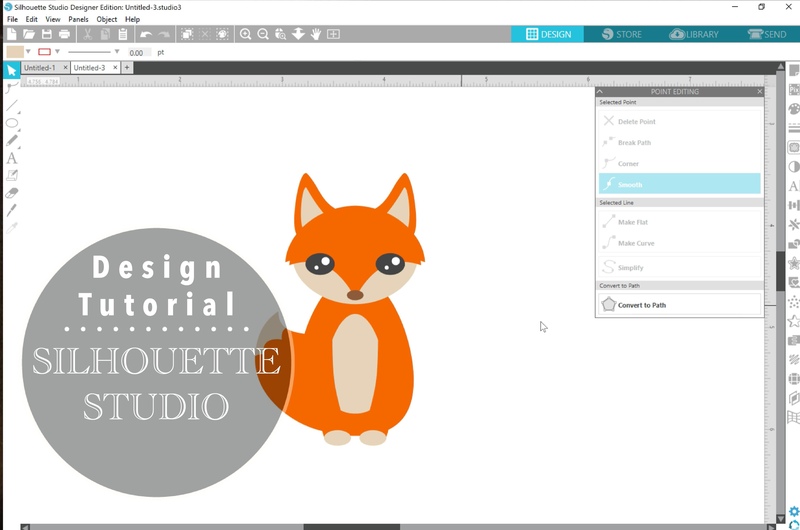 For more tutorials, you can follow the Silhouette Cameo Freebies Facebook page or subscribe to Echoia on YouTube.